Located in a peaceful neighbourhood in Koper, Apartma Gušt Koper offers air-conditioning and free WiFi along with garden views. The property is just 550m away from the beautiful Koper City Beach. The compact 1 bedroom apartment features a sofa bed in the living room and a full bed in the bedroom whereas a flat screen TV and a bathroom with shower are available for guest’s comfort. The best part about the apartment is how close it is to the beach. Guests love how they can take a quick stroll to reach the beach. 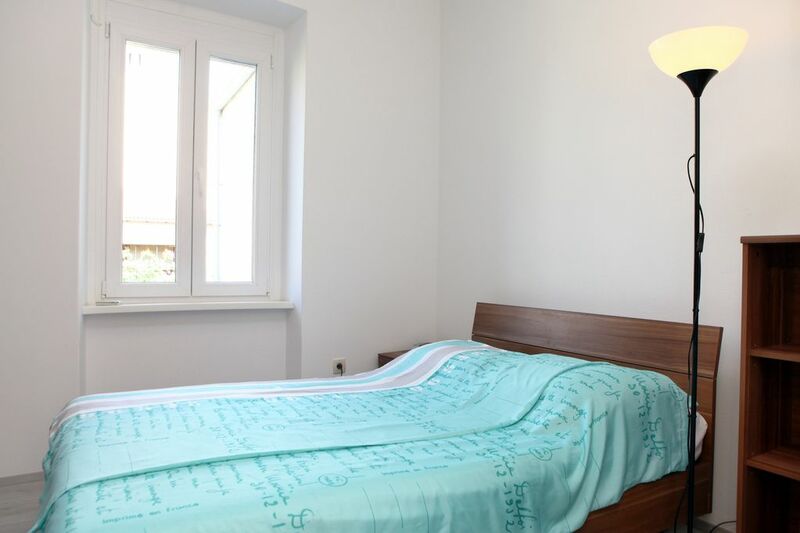 Apartma Gušt Koper can accommodate up to 3 guests. Other nearby attractions include the Port of Izola at just 5.9 KM away and the Trieste Harbour which is around 11Km away from the property. The Strunjan Thermal spa is 10.2 Km away whereas the Secovlje Salina Nature park is about 11.4 KM away. There are several restaurants serving local and global cuisine within 200m proximity. Other nearby attractions include the Port of Izola at just 5.9 KM away and the Trieste Harbour which is around 11Km away from the property. The Strunjan Thermal spa is 10.2 Km away whereas the Secovlje Salina Nature park is about 11.4 KM away. There are several restaurants serving local and global cuisine within 200m proximity.